A Christian country sandwiched between predominantly Muslim Turkey and Iran, Armenia welcomes you with its warm sunny weather, gracious Caucasian hospitality, myriad of attractions giving you unforgettable impressions. You will be impressed by the breathtaking view of stunning mountain sceneries, variety of bright colors of nature, clear crystal water of Lake Sevan, and, of course, European level quality service. With Si Travel you can see the most interesting and beautiful places of Armenia in a short period of time. Rest in Armenia is not only pleasant, but also affordable. The prices for tours are always reasonable and available for anyone who wants to enjoy the culture and nature of this unique country. You can choose sightseeing routes for every taste, be it historical or gastronomical tours, active holidays or health tours, ski tours, eco tours and much more. These trips are for those who are enthusiastic about making historical and cultural discoveries, get acquainted with traditions, taste delicious Armenian cuisine and wine and unravel the secrets of cooking traditional dishes. Travel to Armenia with Si Travel! People: Ethnic Armenians make up 98.1% of the population. Yazidis make up 1.2%, and Russians 0.4%. Time Zone: Armenia Time (AMT) is 4 hours ahead of Coordinated Universal Time (UTC). 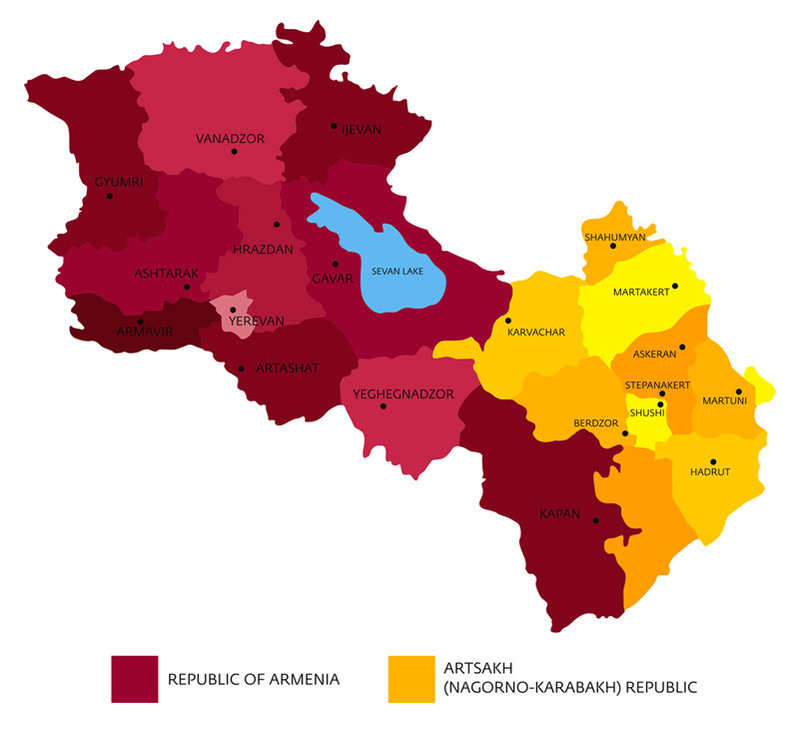 Citizens of foreign countries for whom a visa-free regime is set can stay on the territory of the Republic of Armenia for no more than 180 days during one year if no other term is defined by the international agreements of the Republic of Armenia. For more information click here. The hospitality of Armenian people is known all over the world. Each time a happy event occurs people throw a party for relatives, friends, colleagues etc. Drinking and eating is a must; if you refuse you are not among the ones who share the joy. The more often you throw a feast (on any occasion) the more you will get in return, Armenians sincerely believe. The climate in Armenia is markedly highland continental. Summers are dry and sunny, lasting from June to mid-September. The temperature fluctuates between 22 and 36 °C (72 and 97 °F). However, the low humidity level mitigates the effect of high temperatures. Evening breezes blowing down the mountains provide a welcome refreshing and cooling effect. Springs are short, while autumns are long. Autumns are known for their vibrant and colorful foliage. Winters are quite cold with plenty of snow, with temperatures ranging between −10 and −5 °C (14 and 23 °F). Winter sports enthusiasts enjoy skiing down the hills of Tsakhkadzor, located thirty minutes outside Yerevan. Lake Sevan, nestled up in the Armenian highlands, is the second largest lake in the world relative to its altitude, at 1,900 meters (6,234 ft.) above sea level. There are three mobile phone operators currently in Armenia: Viva Cell MTS, Ucom and Beeline. All three offer both 2G and 3G as well as 4G services. All three networks are widely modern and reliable with shops located in major towns and cities where one can purchase a sim card or get assistance if needed. Most unlocked mobile phones are able to be used on roaming however network charges apply. Ucom and Viva Cell MTS are often recommended to tourists due to the variety of tariffs available and the help available in a variety of languages. As of 2012, approximately 90% of all main lines are digitized and provide excellent quality services for the region.] The remaining 10% is in modernization process. Armenian cuisine is closely related to eastern and Mediterranean cuisine, various spices, vegetables, fish, and fruits combine to present unique dishes. The main characteristics of Armenian cuisine are a reliance on the quality of the ingredients rather than heavily spicing food, the use of herbs, the use of wheat in a variety of forms, of legumes, nuts, and fruit (as a main ingredient as well as to sour food), and the stuffing of a wide variety of leaves.